All construction projects and facility owners are struggling with the same problem – too much data hidden in digital black holes on file server. In addition, they often do not consider how the building should be maintained after handover to client. It creates a almost impossible task for owners to pursue optimal maintenance and safty work. With MasterConcept BIM and its related integrations, 3D models and CAD drawings become available for all stakeholders. When information can be used by all personnel during design and construction, it will create great values. Especially for those who are responsible for facility’s maintenance and service. With MasterConcept Facility management, users can report faults, create maintenance routines and work order for buildings assets. When all BIM data, 3D models and facility management exist in same system, users will be able to avoid the complex integrations and double storage of information. Besides, service and maintenance technicians can use 3D model to rapidly localise the equipment and get an overview of maintenance and work plan. Everything is just getting easier. To be able to analyze fire and safety issues during construction phase and even continually after the commissioning is essential for a Facility Management solution. In MasterConcept all the BIM objects’ logical relations are digitally saved. Analysis such as which equipment in which room and consequences if fire or flood occurred. With relations among electricity, plumbing, mechanical and ventilation in MasterConcept BIM, you can not only quickly and orderly evaluate the impact of fire or flood damage, but also define the regular test and perform the preventive maintenance. 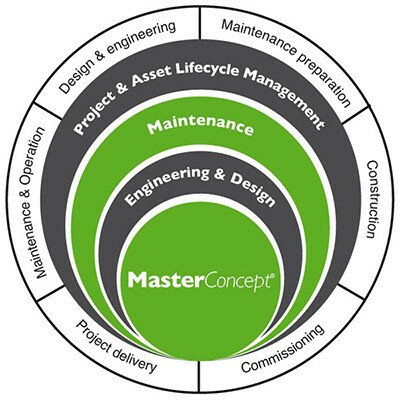 MasterConcept provide functionality for Preventive Maintenance, Fault Reporting and Work Order. With the integration to openBIM and 3D modelling software, MasterConcept take Maintenance and Facility Management in to 3D. Users can access their Work Order or add Fault Reports directly to the Object instance in the 3D model. 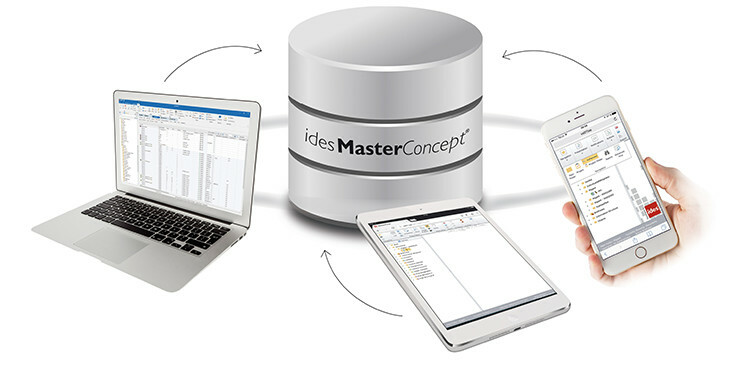 With the unique CAD-Driver concept from Ides the openBIM platform for IFC and applications such as Autodesk Revit, AutoCAD AEC applications are seamless integrated to MasterConcept data platform. A platform where Ides merge 3D model structures with the IEC/ISO standard for object information modelling. This enables a unique powerful lifecycle engineering platform from design to operation and combines both operational requirements with design and engineering. 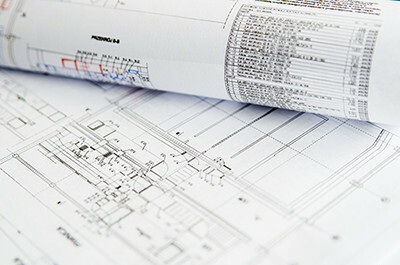 With work order, conditions are created for resource planning and documentation of disturbances throughout the commissioning phase, which supports an active warranty management for subcontractors. Besides, work order system can be used for all types of activity planning in projects or ongoing work. To get started with active maintenance after commissioning is crucial for the availability of all service system in the building and is also aimed to maximalt reach the buildings safety. With MasterConcept you’ll have full freedom to choose solution, either continuing working furthermore in MasterConcept Maintenance during regular operation or transferring data to those who are going to be responsible for commissioning. By considering the plant’s or building’s maintainability by design and construction, equipment’s availability can be greatly increased. 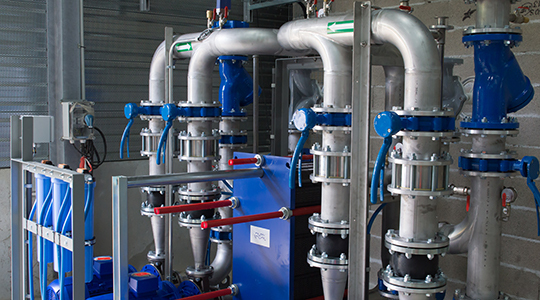 With the ability to create Preventive Maintenance plans during the project, you can more quickly reach the maximum reliability and increased availability as well as improved ROI through the whole life cycle. Support for type objects’ PM-templates during design phase means to manage large amount of assets that should be prepared with preventive maintenance plans smoothly. The ability to convert thick maintenance manuals to a simple clear structure saves years of work after commissioning. 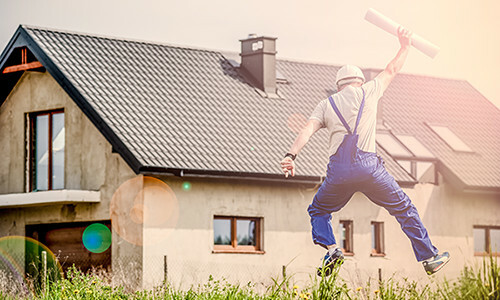 Work order can be used for fault reporting and resource planning throughout the whole commissioning phase and is also an important tool for warranty management of assets for subcontractors. The work order module can be used for all types of activity planning in projects or during ongoing work. Maintenance organizations now can be a part of the whole project in early stege. MasterConcept Maintenance enables all project participants within design, construction and maintenance apartment to work in the same system. Everyone has access to the same technical asset information, BIM/CAD models and maintenance data during all phases in project. With an integrated system for technical asset information and maintenance functions, users can always access to up-to-date information when troubleshooting and planning of projects and jobs. Error reports can be accessible to all and be used during all phases of the project and operation. With complete interfaces for business and maintenance systems, you can freely choose solution. Either continuing working in MasterConcept Maintenance during operation or transferring data to an existing system. Digitised information delivery for building and maintenance reduces lead time for trouble-free production.